The Malta Amateur Athletics Association is confident to put on a strong performance in the European Team Championships 3rd League that will be held at the Matthew Micallef St John Stadium in Marsa this weekend. Malta will be up against 11 other teams in the fourth-tier of European Athletics and will be up against over 300 athletes from Albania, Andorra, Armenia, Azerbaijan, Bosnia Herzegovina, Georgia, Kosovo, Luxembourg, Macedonia, Montenegro and AASSE, which is composed of athletes from Liechtenstein, Gibraltar and San Marino. Edwin Attard, the MAAA president, told a news conference yesterday that Malta will make the most of being the host country by fielding an athlete in all disciplines and that should boost their chances of producing a high-scoring performance this weekend. “The MAAA will be fielding a very competitive team this weekend,” Attard said at the association’s headquarters. Attard said that it is difficult to say whether Malta could vie for a top-two placing in the standings, which would guarantee promotion to Division Two, but was optimistic that athletes such as Charlotte Wingfield, had the ability to stand out in this weekend’s competition. “It’s difficult to predict whether we have enough to challenge for promotion as we will be up against some very good athletes,” Attard said. “What I’m sure about is that we have athletes such as Charlotte Wingfield who have the ability to leave their mark. The European Team Championships come just three weeks after the San Marino GSSE where the majority of our track and field athletes struggled to challenge for a medal. Attard admitted that the performances of some of the athletes in San Marino left much to be desired but he confident they could make up for it with a better showing this weekend. From an administrative point of view, Attard said that the MAAA welcomed the approval of the Commercialisation Law by the authorities and said that the governing body is open to receive any ideas that can make the most of association’s facilities at Marsa. On his part, Dr Clifton Grima, Parliamentary Secretary for Youth and Sport, praised the MAAA for their efforts in staging the European Team Championships 3rd League that will surely boost the country’s Sports Tourism. 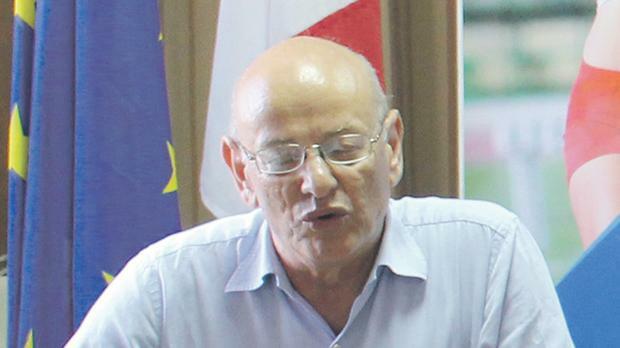 He said that in the last few years SportMalta has supported the MAAA in different ways, both through financial grants and also by assisting athletes through its various schemes. “Now that the Commercialisation Law has been approved we hope that associations like the MAAA will take the opportunity to take on sustainable projects that will not only improve their facilities but also provide a better future for upcoming athletes,” he said.